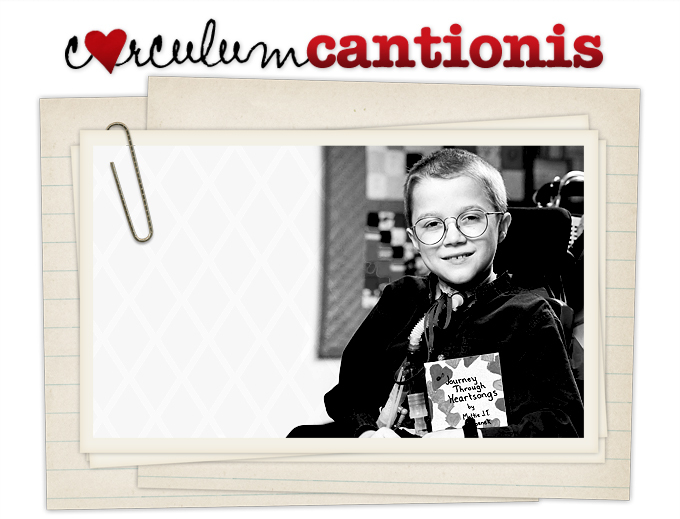 Corculum Cantionis ~ "little heart songs"
Mattie suffered from a rare form of Muscular Dystrophy, known as dysautonomic mitchondrial myopathy. The disease, which can affect children and adults, occurs because of a malfunction in mitochondria, tiny “energy-producing” elements within human cells. Because the mitochondria, which are responsible for providing the fuel for cellular function, are weakened or strained, a number of health functions may be impaired. The myopathic form of the disease affects muscles and muscle function. Some of the more prominent symptoms include muscle weakness, fatigue and eyelid drooping (known as progressive external ophthalmoplegia, or PEO). The severity of the symptoms depend up on the severity of the disease. In some cases, the balance between “good” mitochondria (those unaffected by DMM) and the “bad” mitochondria is enough that a person only suffers minor physical impairment, such as runner’s fatigue. In other cases, the balance is upset enough that a person might require special medical attention. Mattie’s particular disorder affected the autonomic, or automatic, functions of the body, including respiratory, cardiac, and gastrointestinal systems. In this case, use of a mechanical breathing apparatus, as well as other devices to assist with the automatic functions affected, are often necessary, as they were in Mattie's case. Though prevention of the disease is limited, there are various treatments for DMM to help families cope with this rare but difficult illness. Organizations such as the Muscular Dystrophy Association continue to raise money for research, testing, and treatment. To find out more about Dysautonomic Mitochondrial Myopathy, please visit the MDA website at MDA Mito. Corculum Cantionis would like to thank the MDA website for much of the information discussed on this page.